Chris, a native Canada, joins the Green to Tee staff as a dynamic, skilled and educated golf instructor. Chris played Division I golf for Chicago State University, where he was the teams' captain and most valuable player all four years. Chris brings a unique perspective and approach to the golf swing: the integration of golf instruction, physical screening, and functional exercise. Chris understands the mechanics of the golf swing and recognizes that range of motion, dynamic posture, stability, muscular endurance, strength and coordination are directly related to how one swings the club. Chris says, "structure dictates function," if one's body is unable to produce the movements that golf swing requires; the player is prone to injury and won't be able to reach optimal swing potential. Prior to Green to Tee, Chris spent three years at Winnetka Golf Club where he developed and sharpened his skills as a teaching professional. Chris spent countless hours on the lesson tee and played an instrumental role with their adult and junior programs. Preceding Winnetka Chris spent two seasons the Illinois PGA. In addition to his position at Green to Tee, Chris is a golf-specific trainer at Re-defined Fitness in Wilmette, where he helps golfers eliminate any physical limitations along with conditioning their bodies for the golf season. Chris has assisted in the development of their golf performance program. 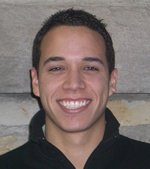 Chris believes in continuing education and is constantly attending seminars, lectures, and conferences. Most recently, Chris spent time at Hank Haney's Ranch in Dallas, TX where he observed and worked closely with Hank and his staff. There Chris was able learn Hanks teaching philosophy and understand his teaching techniques. Chris is entering his third year as Head Coach for Northside College Prep, where they're recognized as one of the top teams in the city of Chicago. Chris graduated from Chicago State University where he received a degree in Business.